One of the tremendous benefits of the integration's of the internet is the ability to weave together data from various sources into a single place. Account aggregation or personal financial management (PFM) software allows consumers to directly aggregate their financial information to keep track of their own finances quickly and easily. In the early days, the goal of PFM software was simply to get all the data and aggregate it in a single location to be able to provide useful reports like performance or net worth. But as the software and technology continues to evolve we will begin to leverage it to automate certain functions and power the advice our clients receive. 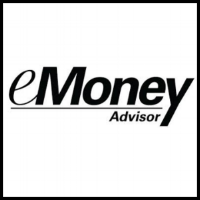 Only the best PFM providers, like the one I provide to clients from eMoney, offers proactive and relevant information in multiple financial areas on an easy to use program. Please understand that these technology solutions only work if you actually login, connect accounts, and give it information to manage. Full use of Personal Financial Management software can be a substantial value to you, providing a true holistic household view of your financial net worth that most people do not actually have a very clear picture of. 1. Account Aggregation: Account aggregation allows you to securely connect financial accounts to the PFM system. Our aggregation technology, known as Connections, automatically updates your financial plans with account data daily. Now, you are able to view all of your accounts easily with one login and on one page. By drawing all of the household’s investment accounts into a single location, it’s feasible for you and the advisor to track what’s held in each account. This comprehensive view also helps me as the advisor to analyze and evaluate if certain accounts or individual investments need to be changed. 2. Full Net Worth: Account aggregation and the information it provides shifts the conversation from “just” being about investment accounts to comprehensive financial planning for your entire household net worth. Effectively using account aggregation means connecting all your accounts so you may track the drivers that increase net worth and how it has changed over time. To easily track and monitor your net worth with the PFM software you will need to connect all of your accounts. This will include checking, savings and specialized accounts like college savings plans or health savings accounts, along with other asset types such as a personal residence or investment real estate. One should also include a direct feed from the financial institutions that hold your liabilities, including the current mortgage balance, credit card debts, student loans, automobile loans, etc. In certain circumstances you may have to manually enter accounts that don’t have an online account login. Using account aggregation also provides a means to demonstrate the value of the advice given over time by showing how net worth has increased over the lifetime of the advice relationship. 3. A Better Financial Plan: Including all of a household’s assets enriches the depth and breadth of the financial planning conversations with the advisor. Our PFM with eMoney is integrated with our MoneyGuidePro financial planning software for seamless updates. This means that as accounts and values are updated automatically between both software programs and the financial plan has all the information for a more detailed plan and improve its accuracy. 4. Cash Flow/Budgeting: With high level account aggregation it will create a “profit and loss statement” (the personal cash flow statement) and aggregate together all of your cash inflows and outflows. I have used other PFM tools that pull the information in but it doesn’t categorize it correctly or consistently. This makes the information useless to you for budgeting purposes. 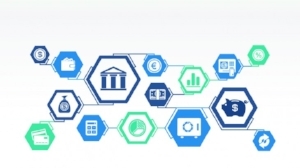 Really good PFM software on the other hand not only has the capability to pull in the household’s cash inflows and outflows from various bank accounts and credit and debit cards, but effectively categorizes your expenses automatically to make the data relevant and usable for you and the advisor. Effective categorization of household expenses has many unique challenges, from simply figuring out what an expense is (correctly identifying what is a restaurant expenditure, what’s a clothing store, and what’s a household appliance purchase), to developing an appropriate higher-level expense categorization structure (Food & Dining, Home, Auto, Utilities, Shopping, etc. ), and being able to distinguish between true household outflows, and what are merely intra-account transfers. As a result, account aggregation that is effective at categorizing expenses means you won’t have to manually change expense category. This added accuracy means you will be happier with the software and be more likely to continue to use the PFM software. Regular use will likely help keep your spending habits in check and make progress towards your wealth building goals. Ideally, effective cash flow tracking with expense categorization opens up new ways for me as the advisor to add value. The ability to link accounts into our sophisticated account aggregation solution and “instantly” have expenses categorized makes it possible to immediately help you be more organized and actually provide cash-flow level advice where it was previously impossible. Commonly, those who are most likely to need advice on spending are the least likely to be tracking it in the first place, which makes account aggregation essential as a component of the service clients receive. On an ongoing basis, our account aggregation makes it feasible to help you establish better spending habits, collaborate on setting goals and monitor outcomes. This allows a comprehensive advisor to serve as an accountability partner to help you achieve the spending and saving goals. The PFM software is the key to providing the tracking necessary to help both sides to know whether the client is staying on track or not. Most households struggle to fully and effectively track their cash flow, and struggle even more to know what appropriate spending levels should be. Potentially benchmarking against your peers may help you understand whether you are really appropriately living within your means. 5. Continuous Monitoring: The next level of account aggregation is about taking the information from assets, liabilities, and cash flow from the various data feeds, and scanning the data to spot potential financial planning opportunities. It will create proactive notifications to you and the advisor in the form of alerts when you login, email or the advisor will schedule a meeting. Ordinary account aggregation might help clients track their spending, but higher level PFM software notifies you and/or the advisor when certain spending targets were breached (to contact you about getting on track) or were achieved (to congratulate you on meeting the goal). An ordinary account aggregation tool would track the client’s income to report on whether their income exceeds their outflows, but a higher level solution would monitor for changes in income that could indicate a promotion (big bump up in automatic payroll deposits), a bonus (unusual lump sum deposit from an employer), or a layoff (ongoing payroll deposits suddenly cease. All of these are important changes to your personal finances and your financial plan. Additional monitoring and proactive notification opportunities might include spotting: unusually large account inflows (potential inheritance? death in the family? ); warnings when retiree portfolios breach a critical downside threshold (when spending or account withdrawal changes must occur); mortgage refinancing opportunities (compare mortgage interest rate against externally available mortgage rates); change of health or medical issues based on rising spending or abnormally large bills for medical expenses; and potential financial fraud or elder financial abuse based on abnormal account transfer activity (particularly via wire transfers, a rise in cash withdrawals, or a sudden rise in the number of transfers going to another individual’s bank account). 6. Security: The client website of eMoney is Non-Transactional. Unlike many other online financial websites, accounts in eMoney do not allow the movement of money, withdrawals, or direct access. Rather, it just displays the most up to date account balances, giving clients and the advisor a window into their comprehensive financial picture. Password Protection: Each client (and advisor for that matter) has a unique User ID and Password. Consecutive incorrect log in attempts will lock the account preventing manual or programmed hacking attempts from occurring. High Level of Encryption: The eMoney system uses a 256 bit Secure Socket Layer to scramble data. This is among the highest encryption in the industry and twice the encryption amount used by many other financial institutions. Secured Data: Data is hosted at a secure facility with world class hosting server centers and continuously monitored and protected. Plus, that data is backed up in geographically separate locations, ensuring protection against natural disasters. Routine Security Testing: We also commission third-party security auditors to assist with identifying any vulnerabilities and remediation efforts within the system. Vault: This allows you to view, share and store documents easily and securely anywhere and at anytime. The Vault is accessible through the Client Website and helps with communication and organization of your financial information. Clients can upload vault documents into the Shared Folder that is viewable to the advisor and other professionals the client chooses to provide access. Another option is the My Documents Folder. This is a private folder that is only accessible by the client. Not all account aggregation and PFM providers are the same and the capabilities of what they do – and what they can do – varies widely! Please contact me to find out how our PFM solution powered by eMoney and our comprehensive planning may help you transform your finances.